COVENTRY UNIVERSITY has appointed a new deputy vice-chancellor to lead and develop its wide-ranging research portfolio. 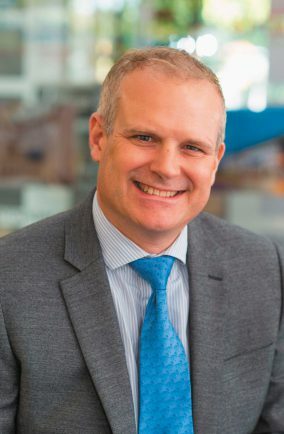 Professor Richard Dashwood is set to join the institution from Warwick Manufacturing Group (WMG) at the University of Warwick, where he holds several responsibilities including academic director. Bringing with him a wealth of experience spearheading high-profile research programmes, Professor Dashwood will be responsible for overseeing all aspects of Coventry University’s ambitious research strategy. Professor Dashwood will take up the reins for the next phase of the University’s research activity as the institution’s sights shift to the next REF which is anticipated to take place in 2021. He will replace Professor Kevin Warwick – who is retiring at the end of March. Vice-chancellor, Professor John Latham, said: “I’d like to congratulate Richard on his appointment, and look forward to welcoming him into the role of deputy vice-chancellor for research. “Richard has considerable experience heading up research programmes and a wide range of high-profile projects funded both from Europe and through UK government and industry.